There are heroes that keep the world clean but have to live under the radar. Kingsman is a spy agency that tracks several cases and intervenes when needed. Of course, there are several incidents that occur, as seen in the previous movie. In “The Golden Circle” you’ll continue in this same narrative and you’ll be treated to quite an active roller-coaster. It seemed to be a quiet night for Eggsy (Taron Egerton) when he left the Kingsman base, but less was true. He was approached by Charlie Hesketh (Edward Holcroft), a rejected candidate for the spy job, and things went south rather fast. As Eggsy is a master spy, he was able to fend off his assailant but of course, the battle was rather fierce. Even the robotic arm of Charlie, an aftermath of the clash in the previous movie, was ripped off. At least our young spy has Merlin (Mark Strong) to guide him to safety. This unforeseen event was on the most inconvenient time as Eggsy has a really important dinner with his girlfriend Tilde (Hanna Alström) and friends. In the meanwhile, the robotic remains of the fight finished the job Charlie set out to do which led to the destruction of Kingsman. 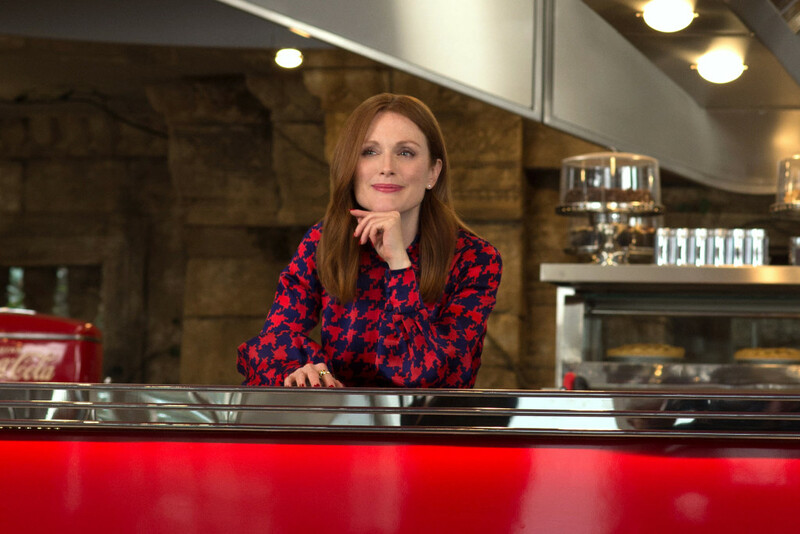 The master villain in this story is Poppy (Julianne Moore), a successful businesswoman that has to live under the radar because her goods aren’t that legal. It’s rather clear from the start, thanks to some culinary events, that she is vicious and slightly insane. She plans to finally get out of that desolated area and her plan is devious. 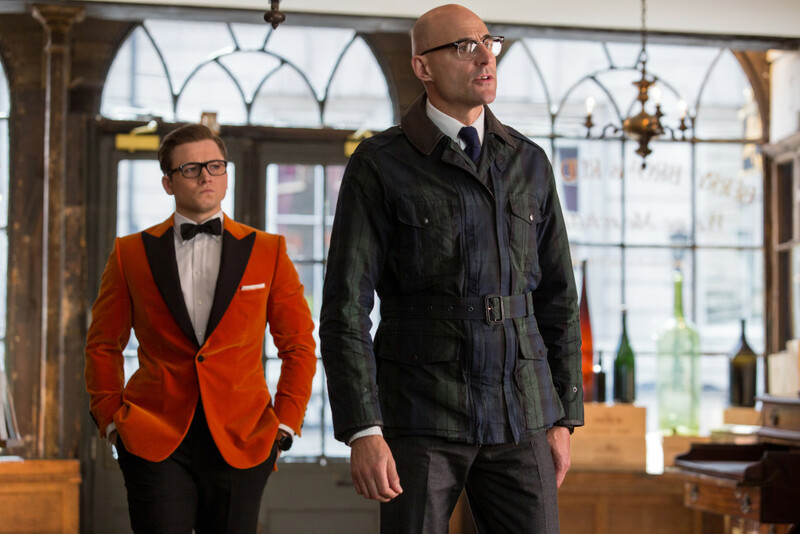 The British Kingsman are outnumbered but they’re able to meet up with their American cousins. New bonds are made and together they have to save the world yet again. 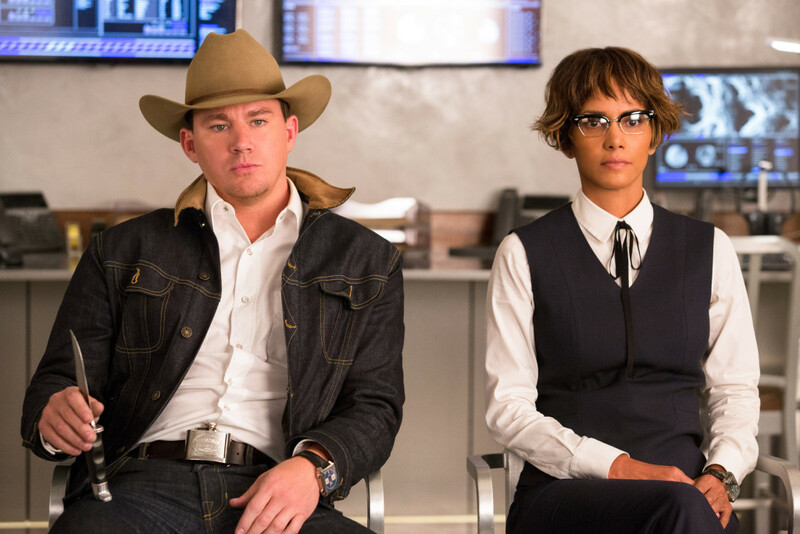 Although it would have been nice if Harry (Colin Firth) was still with them, they can now count on agent Tequila (Channing Tatum), Whiskey (Pedro Pascal) and Ginger (Halle Berry). Kingsman: The Golden Circle was rated for 16+ and with reason. There are quite a lot of brutal parts in this movie, with some explicit content as well. Even more, there are some swell fighting scenes, mixed up with some story-related parts. In the end, the flow of the movie was ok but sometimes it felt like some parts could have been clipped a bit. It was good to see that the plot of the movie wasn’t what you would expect. From the start of the film, it grasps you and keeps you interested, especially with the plot twists here and there and the different worlds Eggsy lives in. Even more, the contrast between the evil mastermind and her small fifties town and the rest of the world is nice to see as well as the collaboration with the American spies is a really nice change of pace. Humor isn’t far away as well, so you’ll have some giggles now and then. Acting wise, the film really shines thanks to all the great actors. Taron Egerton might be a bit unknown in the acting world but he does a splendid job, both with all of the stunt work but also thanks to the genuine emotions. The American counterpart is a strong front as well. The contrast between the rougher Americans and the dignified British, but the mixture works like a charm. The rugged appearance of Channing Tatum and the hillbilly Pedro Pascal all play their role marvelously and the combination of everyone’s acting makes it a really nice movie to watch. Even Poppy, played by Julianne More, is rather likeable, although she has her very psychotic characteristics. Extras are always fun to watch and you’re getting spoiled with Kingsman: The Golden Circle. First, you have almost two hours of content on how they tackled several parts of the movie. In ‘Inside of the Golden Circle’, you can see the different locations and headquarters, even weapons they used and how the costumes were chosen. You will also have a glimpse on how they tackled the first chase/fight of the movie while you can also dive into some concept art. If you like awesome fights with some bloody situations now and then, mixed with some nice plot twists, be sure to check this second movie of the Kingsman series. You don’t need to have seen the first film to watch the second one, although it does give a bit more depth now and then when there are some references to the previous one. Acting wise, you’re in for a treat, just as with the extras. If you’re looking for something to watch and you want to have some fun combined with raw action, Kingsman: The Golden Circle is something to consider.